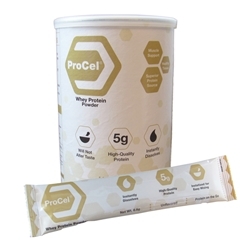 ProCel® is a high-quality whey protein that yields 5 grams per serving . 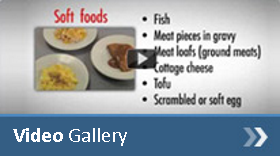 Each can contains about 43 servings and 215 grams of protein. ProCel® assists in meeting the protein needs in individuals that are unable to do so in their normal diet. Ingredients: Whey Protein Concentrate and Lecithin.